Spring is finally around the corner and Metropolitan largely contributes to making it a good one with this casual fashion statement: the retro-inspired square bridge with double bridge sets new standards in terms of coolness. 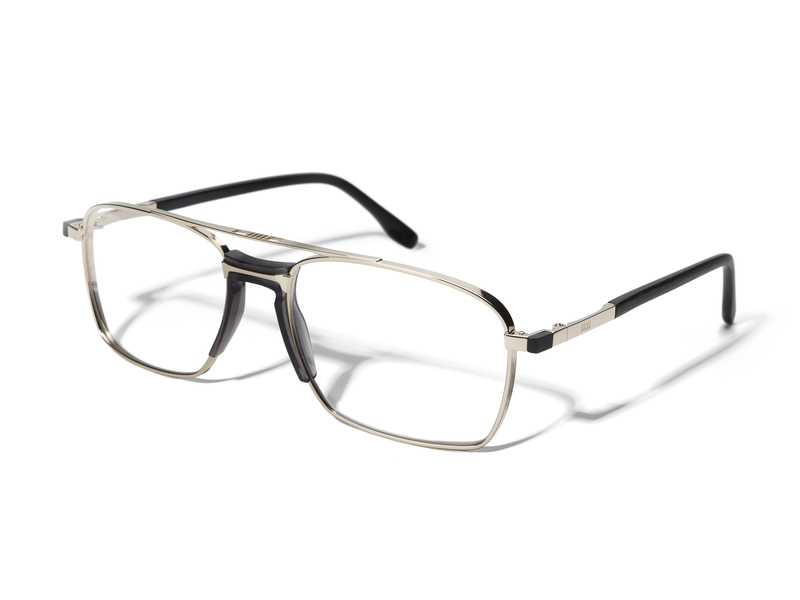 A plastic bridge and acetate parts on the cheeks make the cool stainless steel frame a trendy object for the upcoming season. Colors such as Light Gold with Black, Palladium-Havana or Midnight Blue turn this brand new Model 8046 into the new must-have item. The usual understated brandings on the temples and a milled Metropolitan logo in the upper beam support the utter feeling of understatement this frame exudes.